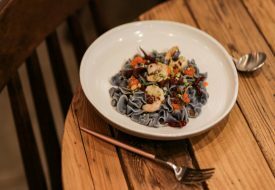 With a variety of fluffy soufflés, wonderfully whimsical decor, and a selection of classic French casseroles, Soufflé brings Paris right to the heart of Duxton Hill. Soufflés, for budding bakers and aspiring Julia Child wannabes, can be said to be a pretty tough dish to master. Julia Child herself famously took 29 tries before perfecting her strawberry soufflé recipe. 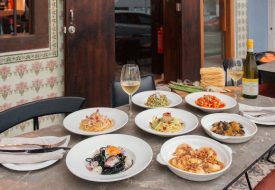 Suffice to say, we were intrigued when Déliciae Hospitality Management (DHM) – the folks behind Spanish tapas bar Sabio, as well as Italian fine dining establishment Forlino – announced the opening of their new Parisian-style bistro, serving up more than a dozen varieties of French soufflés. 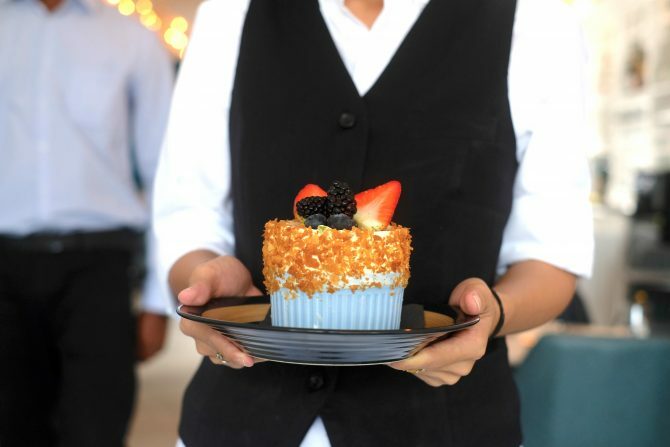 As it turns out, the soufflés served are all recipes that have been painstakingly tested and curated by Olivier Bendel, the owner of DHM, who hails from Paris. He explained that adjustments had to be made so that the soufflés would cook faster while still retaining their taste and structure, especially for the savoury soufflés, which normally take around 40 minutes to cook. So, how does Soufflé fare? 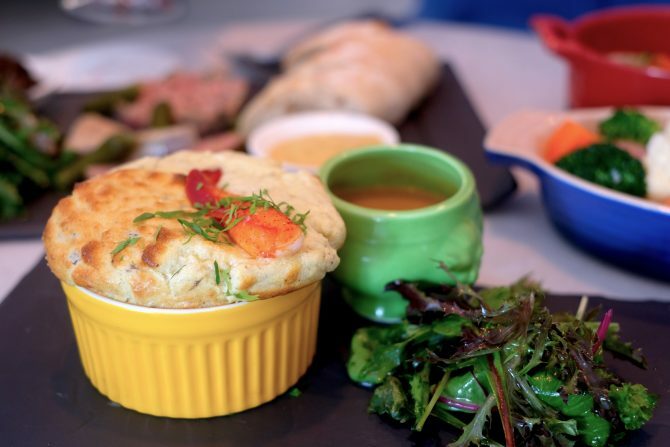 We sat down for a meal of soufflés, both sweet and savoury, as well as their casserole dishes, and here are our thoughts. We started off our meal with the Homemade Duck Foie Gras Terrine (S$24), served with sugar glazed onions and sliced baguette, as well as Escargots de Bourgogne (S$16) – snails prepared with parsley butter and garlic. Both dishes are classic French starters, and our favourite was the Escargots – it came piping hot and was wonderfully aromatic with the scent of parsley and garlic, and the richness of butter. Onto the soufflés! We tried four of the savoury soufflés available: the Comté Cheese Soufflé (S$22), the Truffled Mushroom Soufflé (S$20), the Lobster Soufflé (S$28), and the very unique Laksa Soufflé (S$26). 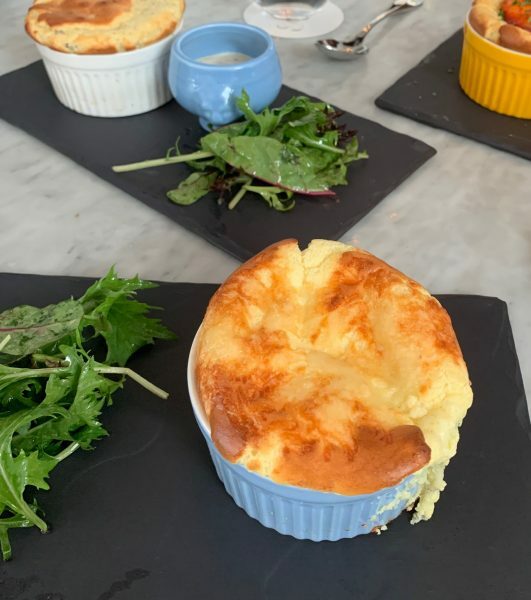 One of our top picks is probably the Comté Cheese Soufflé (pictured above) – a simple bechamel-based soufflé baked with a generous portion of Comté cheese. 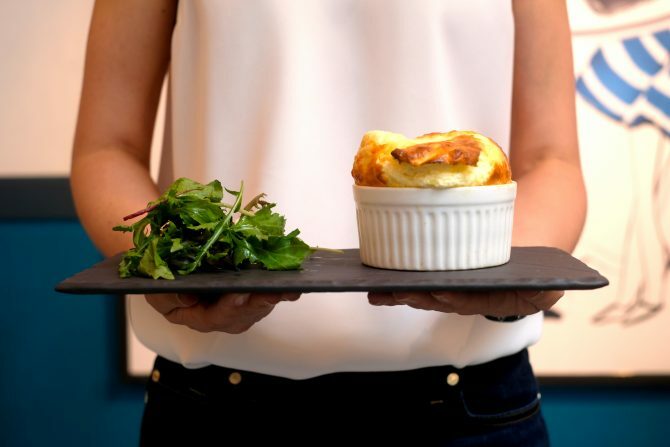 Best eaten while hot, the soufflé was amazingly pillowy and light, perfumed with the aroma of the cheese, yet substantial enough that you’ll be able to taste every morsel of its wonderful richness. Another favourite of ours was the Laksa Soufflé – an interesting offering that came about because owner Olivier loves the namesake dish, and wanted something that would reflect his identity as both a Parisian and Singaporean. 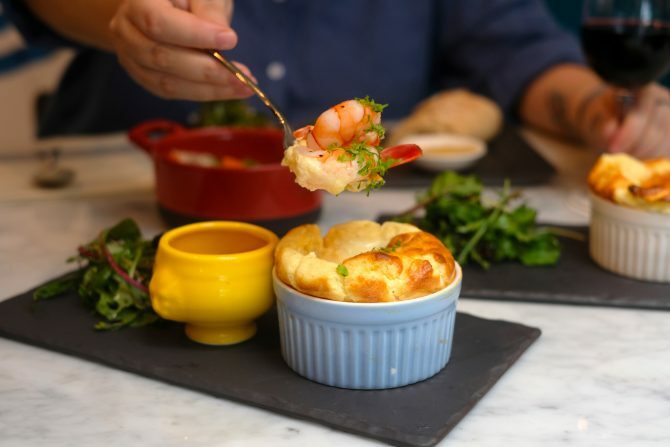 Made with a bechamel base and filled with a generous portion of prawns, the soufflé comes with a small pitcher of laksa sauce for you to flavour it with. We loved how the creamy, coconutty laksa sauce paired with the soufflé, and had a great spice kick too! For a fusion dish of French and local flavours, we think that the Laksa Soufflé certainly hits the spot! For those who have bigger appetites, are coming in larger groups, or would just like to taste a variety of traditional French dishes, give Soufflé’s casseroles a try! It’s hard to find places serving veal in Singapore, and Soufflé does it well with their Blanquette de Veau (S$28), a traditional slow-cooked veal stew with white wine and cream , finished with freshly squeezed lemon. The chunks of veal were tender and not at all gamey, instead aromatic with the scent of herbs. The lemon helped to cut through the richness of the cream, although the gravy was lighter than we expected – in a good way! The ‘Local Catch’ Bouillabaisse (S$28) is a classic Provençal-style seafood stew that came brimming with slices of fish, mussels and huge prawns; and are served with rouille toasts. The stew was flavourful and the seafood fresh – especially the generous slices of tilapia! Our favourite, perhaps, was the Boeuf Bourguignon (S$28) that we had together with Mashed Potatoes (S$8). 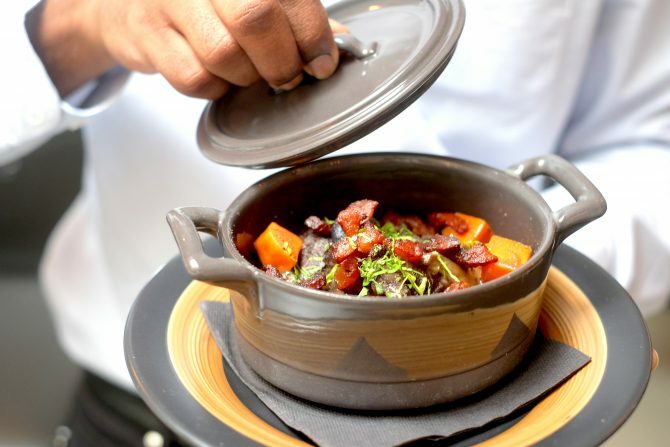 A traditional French stew with slow-cooked beef cheeks, red wine, stewed vegetables and thick-cut bacon, this dish is everything you would want the perfect beef stew to be! Melt-in-your-mouth chunks of beef (yes, they are that tender! ), flavourful gravy, hearty yet not heavy, vegetables infused with the scent of red wine and herbs… We had to stop ourselves from scraping the pot! After all those dishes, we were almost too stuffed for the sweet soufflés – but we’re glad we didn’t skip them! First up was the Soufflé Glacé Citron Vert (S$16): a beautiful, tall soufflé made with meringue and lime that is not baked, but iced instead. While different from its counterparts in terms of texture, this iced soufflé provides a refreshing contrast: each mouthful was like having a taste of zesty lime sorbet, or a tangy lime meringue! We liked how it was not overly sweet, and just tart enough to make our lips pucker up! As we were having the iced soufflé, out from the kitchen wobbled the Grand Marnier et Oranges Confites Soufflé (S$20 for individual, S$28 for large), the scent of orange peel and freshly-baked goodness wafting after it. 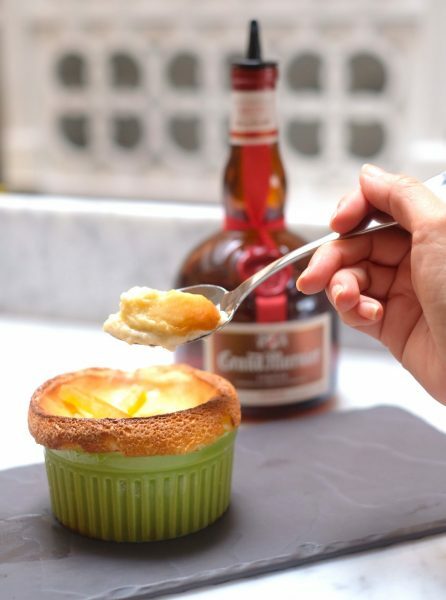 Served with a bottle of Grand Marnier, you’re invited to douse your soufflé with as much liquor as you’d like. Additional charges for shots of the Grand Marnier start when you pour into anywhere that isn’t your soufflé dish, so don’t get too excited! A classic French dessert, we delighted in the light sweetness of the soufflé, paired with the bursts of saccharine from the candied orange peel and the full-bodied flavour of the Grand Marnier. Happy hour and dessert, all rolled into one! We also enjoyed the Speculoos Soufflé (S$15 for individual, S$22 for large), which came infused with spiced speculoos fragrance, and was served with speculoos cream. As we dipped our spoons into the soufflé, the soft speculoos insides welled out, much like a more cloud-like, French-style lava cake! For cookie butter lovers, do try this! 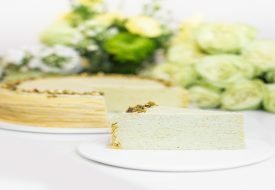 With a bright and airy interior that boasts whimsical artwork from renowned fashion illustrator Grace Ciao, as well as a menu full of classic French dishes and a variety of their namesake dish, Soufflé is a bistro that brings the ambiance and taste of Paris to the heart of Duxton Hill. Previous PostBe Amazed By Chef Pasqualino Barbasso’s Unique Pizza Acrobatics At Fratelli Pizzeria Next PostCatch Rare Pokémon At The Pokémon GO Safari Zone Held At Sentosa!